Today, NASCAR handed out their weekly round of penalties. Watch the crew remove the spoiler tape in the post-race interview video below. On the penalties list was Chase Elliott. He finished 2nd in the race at Chicagoland Speedway. However, that finish is now encumbered. The crew installed a piece of tape in the center of the rear spoiler. This tape is rumored to provide anywhere from 10-50 lbs of downforce. In addition, at high speeds, the tape would fold backwards. Meaning the added downforce only worked in the corner, where it’s needed. NASCAR missed it in post-race inspection as well as pre-race inspection. 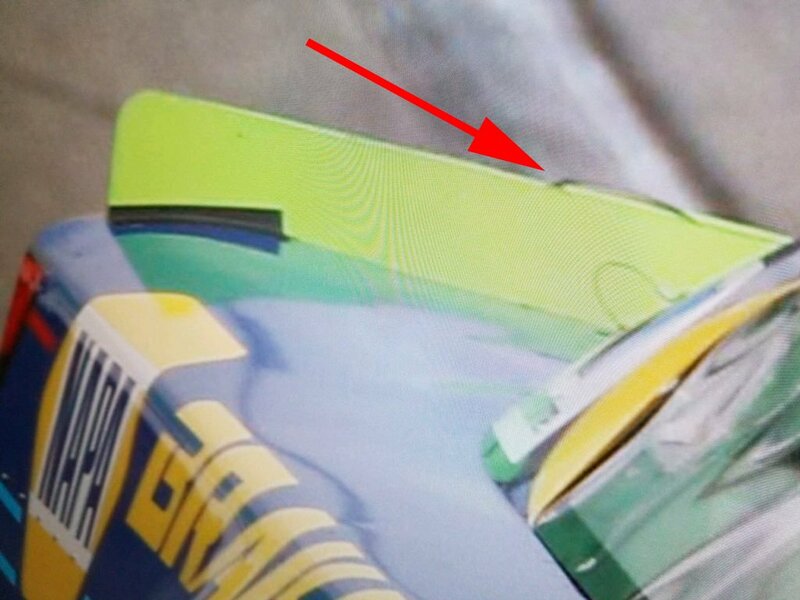 That’s because the tape was installed after pre-race inspection. Then, it was removed before post-race inspection. The crew actually removed the piece of tape during Chase Elliott’s post race interview. In the background you’ll spot a crew member slowly slide his hand across the rear spoiler. He was sneaky. Once the tape was removed he slowly slipped it into his pocket. Until the video was brought to the attention NASCAR. Penalty: Encumbered finish, loss of crew chief Alan Gustafson, $25,000 fine, loss of car chief Joshua Kirk, a loss of 15 driver points and another 15 point loss in owner points.